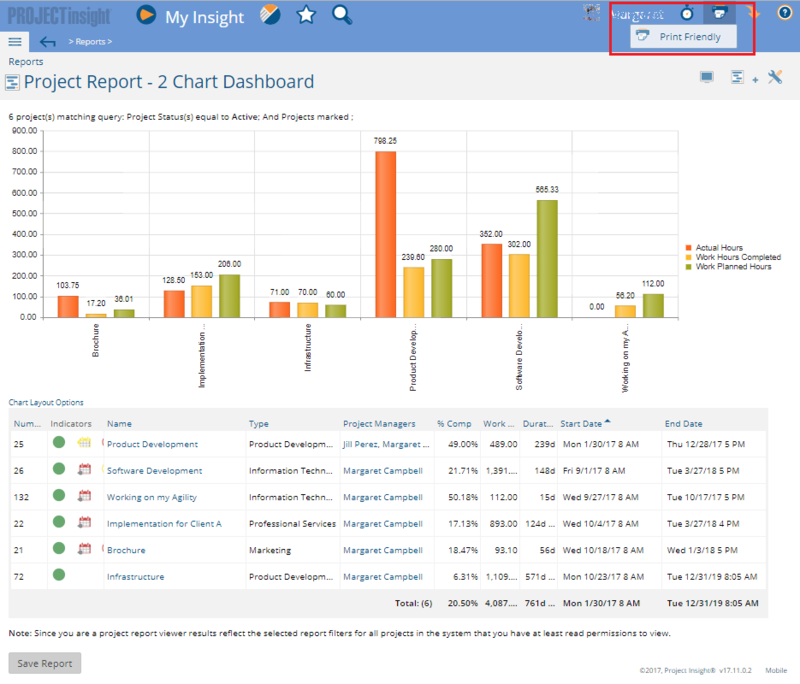 You may notice the Project Insight export options allow you to export to Excel, PDF and CSV. 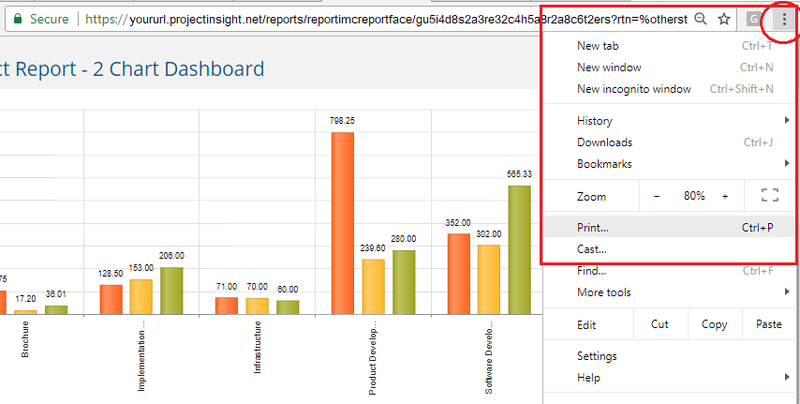 When you export, any charts or graphs do not export. 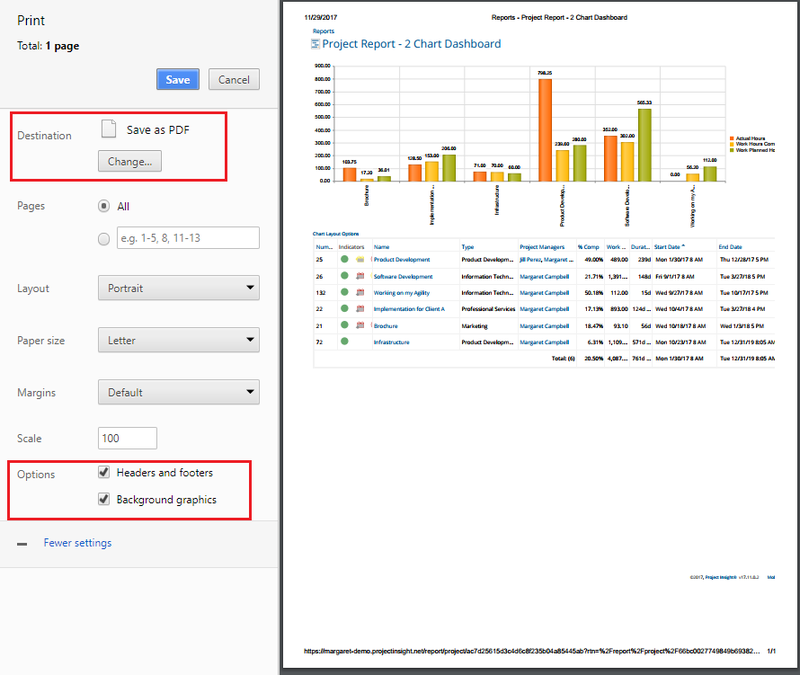 While displaying the report, take Project Insight into "Print Friendly" mode using the printer icon in the top right navigation. Hit Save, and select where you want the file saved. (You know this part). It will save as an Adobe Acrobat Document.